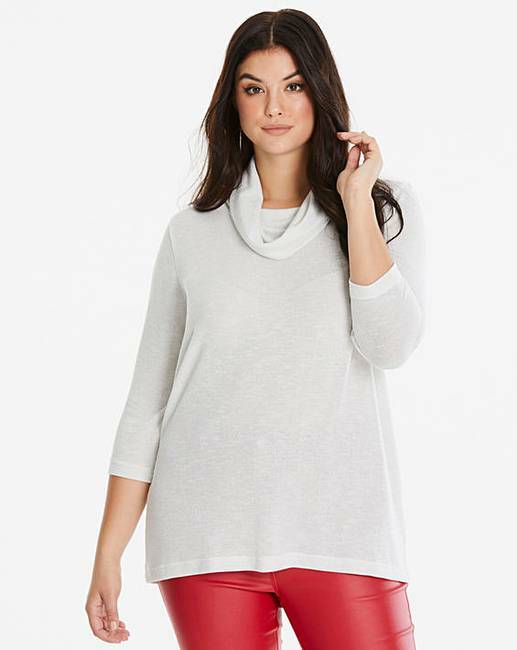 Cream/ Metallic Cowl Neck Jumper is rated 4.6 out of 5 by 5. 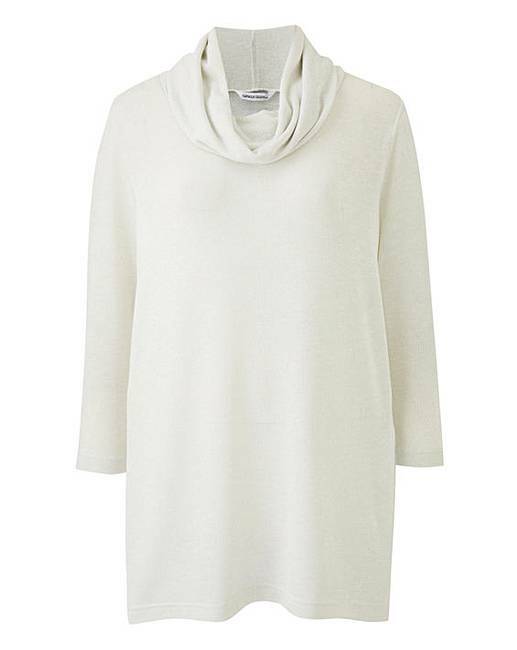 Update your wardrobe this season with this lightweight cowl neck jumper with gorgeous silver thread detailing. Wear on its own or layer up for a perfect transitional look. 49% Polyester, 44% Viscose, 4% Metallic Fibres, 3% Elastane. Rated 5 out of 5 by Murfideli from Lovely matrrial I love his jumper,I wish you did more colours, it hangs lovely and looks super smart. Rated 5 out of 5 by valimay from Picture doesn't do this justice Lovely jumper, needs a cami under for my taste, but still not too bulky, great for day into night as it has this delicate sparkle, that catches the light every now and then.....even had complement off my daughter :) the neckline is great too as its not tight, but gently folds over. Great little jumper. Rated 5 out of 5 by Kaz babe from Dress up or down Perfect top for any occasion!! I worn mine with jeans and boots and dressy trousers and heels. Very soft no itching washes a treat just don’t tumble dry. Rated 5 out of 5 by Wen from Great for the festive season I bought this and another to match to a wine coloured skirt, it matches well.